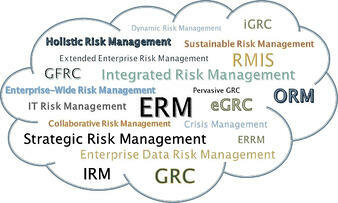 "Defining an Enterprise Risk Management Solutions Vendor"
The broadening view of enterprise risk management (ERM) has invited an equally broad mix of vendors marketing themselves as enterprise risk management companies. Unfortunately, the terms ERM and enterprise risk management can lose their meaning under a barrage of related acronyms and confusing marketing terms. While risk management standards organizations and business associations have taken tremendous steps to cut through the fog of risk management definitions and terminology as they apply to enterprises, this complimentary IMT Perspective examines the capabilities that qualify vendors for the ERM designation. how vendors are repositioning to add more value as ERM solutions. Read this paper to help improve market communication between enterprises and risk management vendors.